A fascinating personal development and self-help book that is designed to help you tune into your higher levels of thinking and higher levels of understanding. Using principles honed by the author’s years of hard work as a qualified psychotherapist, this book takes you on a psychological journey of enlightenment and understanding. 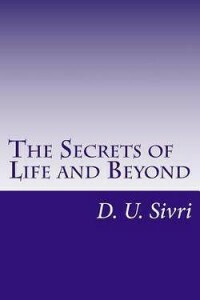 If you are looking to gain greater insight into understanding life, psychology, philosophy and spirituality then this is the book for you. A definite must read for you!! With an easy to understand road map, this book provides you with a twelve step process to attune you to your higher self and your higher patterns of thinking. It covers many areas connected to Inspiration, motivation and self understanding and also provides you with a thirty day spiritual life plan to connect to hour Higher Conscious. If you are into mind, body and spiritual books, then this is the most powerful resource available for you. Being a qualified psychotherapist and renowned motivational expert, I wanted to write a book to help everyone tune into their higher levels of thinking and understanding. This is the third book in my series of books and I have had such great positive feedback from readers that I wanted to write a book specifically with a spiritual angle, as well as having elements of self-help and personal development. I use many principles, techniques and tools to help the reader become the best of who they are as they journey on a voyage of personal discovery and spiritual enlightenment. Having lived in many countries I use my own experiences, many case studies, and Inspirational quotes to bring you the secrets of life and beyond…. A great book. Loved it from start to finish… It has made me think about my life in a totally new way… Will now read all other books by D. U. Sivri! !